In by the book LotFP, only fighters get an increasing attack bonus. While this is appropriate for some games, others may wish to grant non-fighter classes some greater degree of combat effectiveness. Gus L. suggested on G+ that maybe specialists could gain an increasing bonus to missile attacks and that clerics could gain an increasing bonus to melee attacks. I like that division, and it inspired the slightly more nuanced structure below. Each of these rules alludes to mythological or thematic inspirations for the class in question. The halfing, for example, is reminiscent of David and Goliath. The specialist rule plays on the idea of discretionary focus (this allows you to make, for example, a thug specialist that is just as competent as a fighter, but only in melee). And so forth. They are also less boring than the more common approach of just giving smaller bonuses to the non-fighter classes (most commonly, I have seen +1 every other level proposed for the semi-martial classes). They also stay within the niche design of LotFP, allowing most classes to be competent combatants, but only in specific ways. * Elven weapons. This goes to the otherworldly nature of elves (and also, perhaps, their comedy value if you want to play up the snobbishness aspect). Exactly how you operationalize what it means to be an elf weapon will drastically affect the power of this rule. I would suggest not iron and not steel are clear criteria, and probably quality. For a simple rule of thumb, you could make elven weapons cost ten times as much and only be available in Elven strongholds. ** Trap-making. This allows specialists to create makeshift traps given basic supplies and a turn of prep time. The trap attacks as a fighter of the specialist’s level (or in the context of the above discussion, the specialist’s attack bonus is that of a fighter when expressed in prepared traps). 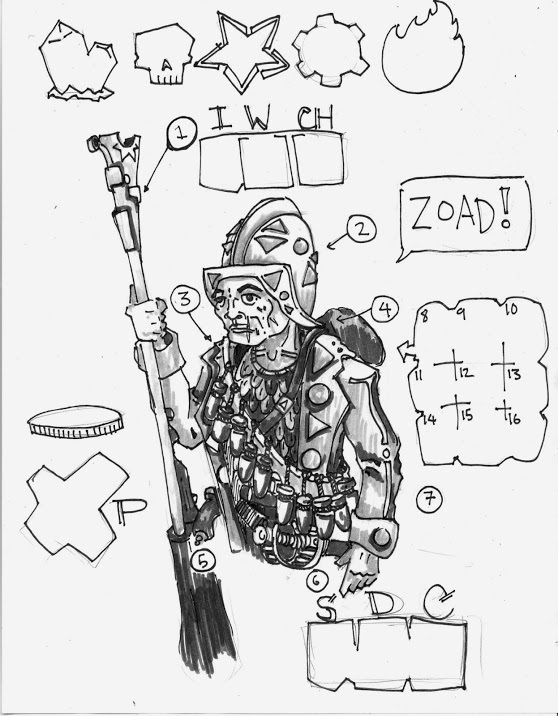 This entry was posted in Rules and tagged combat, LotFP on January 30, 2014 by Necropraxis. 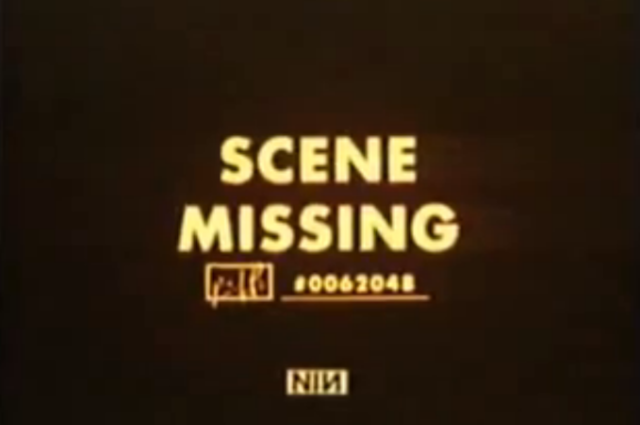 At the end of last year, I held a contest where the theme was the Nine Inch Nails song “The Becoming.” I got some submissions. Then I took a long time to actually read and evaluate all of them (apologies! ), but as of last week the winners were determined and notified. Prizes were ordered and mailed out. If you did not win, thanks in any case for participating. First place goes to Mark S. for his Black Ziggurat. 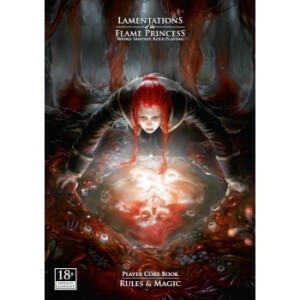 Mark chose a copy of the 2013 LotFP Rules & Magic hardcover. 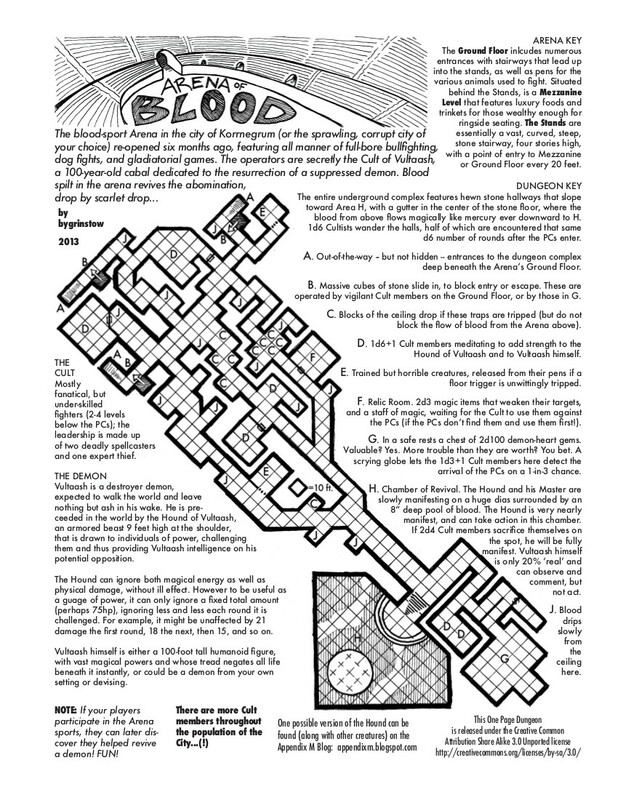 The Black Ziggurat is a fantasy bronze age dungeon module which is filled with creative hazards and memorable details. The setting itself is a nice change of pace, without being too alien (it could easily be used as a ruin in a more traditional fantasy setting). The traps, even when they are reminiscent of old standbys, are presented with interesting variations (for example, consider The chamber of spears we guard for eternity, which is a great play on the classics of animating skeletons and spear traps). The theme of transformation is also nicely realized through the person of Naaresh the sorcerer, who was changed by his contact with the void (and effects related to this show up in numerous places within the module as well). Overall, an excellent effort that I think would be good for several sessions of play, and all of it fits on 4 letter-sized pages. There are not many ways I can think of to improve this as a module. If I had to pick something, I would say maybe a few more unique monsters would spice it up. Discussion of other submissions will have to wait for a future post, however. This entry was posted in Spotlight on January 23, 2014 by Necropraxis. 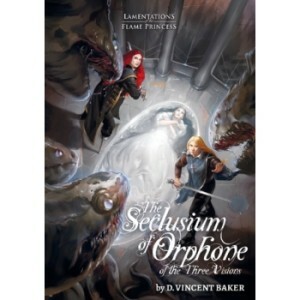 The Seclusium of Orphone of the Three Visions (from hereon, “Seclusium”) is a set of tools and procedures to help referees create a wizard’s stronghold. As the first part of what will probably be a collection of posts on this book amounting to a review of sorts, here’s an example of using chapter 8, which is a magical item generator. The chapter is approximately 15 A5 pages that consist almost entirely of tables and lists. All of these results are interpreted in the light of previously determined facts about the wizard, the stronghold itself, and the circumstances that led to the disappearance of the wizard. I chose to focus on the creation of a magic item first, because I think it shows one of the strengths of the book, which is how the individual components can be used by a referee to help jumpstart content creation. I’m working on a seclusium that is a collection of islands on a placid expanse of sea that is all columned verandas, richly carved wood, and fluttering silk curtains. Notes in parentheses are my own musings and ideas as I work through the results of the generator, making sense of the juxtapositions. Okay, what can we do with this? My first thought from “occurring naturally” was that it was some sort of spring that naturally produced a potion. Protecting the seclusium led to a variation on the potion of invisibility (which also fit with a penalty to searching). From previous work, I know that the wizard also has imprisoned enemies within the seclusium, so perhaps an enemy trapped in the spring is the source of the magic. That is enough info to start nailing things down. There is a spring on one of the islands, within which is trapped Iakkend the Obscure, a wounded and bound sorcerer, and one of the many enemies of Foriophere. The pool is deep but clear, and an observer that peers into it carefully can see an indistinct struggling form chained in the depths. The blood of Iakkend, who is a master of illusion and misdirection, has suffused the spring and granted it magical powers. Any object washed in the waters will become invisible for one day as long as it remains near the sea (slowly fading back into sight over the next several hours). Foriophere has also learned a technique to make the effect last semi-permanently (and this is the source of the invisible structures on the islands), though such use will not be available to PCs unless they discover the required procedure and additional ingredients elsewhere. The potency of the spring water is limited though, and there is only enough magic for 1d6 applications (which can be either bottling or direct immersion). The water glitters with an opalescent sheen when it is empowered. The magic will slowly seep back into the water Iakkend bleeds (another 1d6 doses will become available after a day passes). Bottled potions of concealment have a limited lifetime, and any older than a few weeks has a 1 in 6 chance of not working. If the water is drunk rather than used as a wash, the drinker must save versus magic or become a vessel for Iakkend. While so possessed, Iakkend has access to the drinker’s senses, and can speak using the drinkers voice. Further, he may compell the drinker to take actions, though each such attempt allows the drinker another saving throw, and a successful saving throw causes violent retching (expelling the potion) and the termination of all influence from and access by Iakkend. Drinkers also gain the ability to see any concealed, hidden, or invisible objects for the duration of Iakkend’s influence. Thus, though Foriophere uses the power of the spring to hide certain aspects of the seclusium, it also offers a potential foothold for Iakkend to influence the world again, and so is a danger. This process certainly led to a unique item that I likely would not have come up with on my own or if using a different generator. The result is more involved (in a good way), and situated in the context of the fictional location. It was also, however, not quick, and required time and deliberation to use. It is one of the better magical item generators that I have used, and I will definitely return to it for future inspiration, even outside of creating a wizard’s stronghold. As should be clear from the list above, the many degrees of freedom will likely result in a wide variety of qualities, and there are also many subtables related to magical entities which did not come up here at all because they were not relevant to this particular item. In addition to tables that help you create magical items, the way Seclusium presents special abilities is interesting. The point of magic is that it lets you break the rules. That is the role of magic within the game; the ESP spell, for example, in OD&D, is presented as basically a super-reliable way to listen at doors. It is worth keeping this in mind when designing magical items. What part of the rules does the item interact with? You will recall that the generator result told me that the item modified how the character interacted with the searching rules, and applied a penalty (which I interpreted liberally). Thinking about rules interface directly in this way guarantees that the item will have relevance to adventuring. The book is not without its flaws, which I will touch on more in future posts, but hopefully this should give some idea about the style and potential value of Seclusium. The hardcopy can be purchased from the LotFP store, and the PDF is also available (sans watermarks, happily) from RPGNow. This entry was posted in Reviews and tagged LotFP, treasure on January 16, 2014 by Necropraxis. 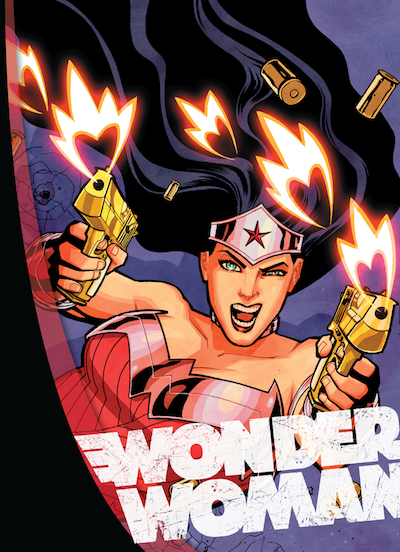 The most recent revamp of Wonder Woman is one of the most enjoyable comics I’ve come across in a while. 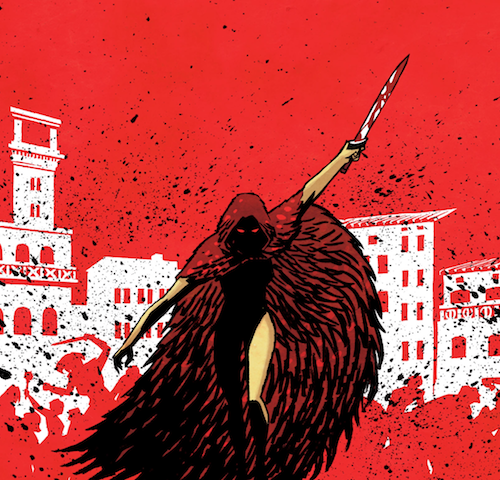 It reads like Neil Gaiman’s Sandman by way of Image’s recent Saga. 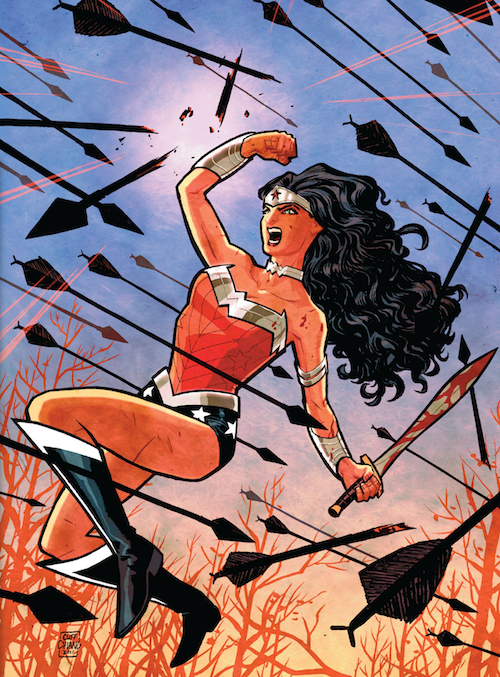 I first noticed the series because of this fantastic cover (issue 24, october 2013), and promptly burned through the first three collected volumes on Comixology in two days. It is, so far, the only comic other than Rat Queens that I have considered buying individual issues of as they come out, rather than waiting for the inevitable compilations. There is a kind of Lichtensteinian feeling to the art that is reminiscent of some stylized comic golden age, but it also feels recent and fresh (I think this is because of the color and writing). The character designs are also continuously enjoyable. I found myself looking forward to how each of the Olympians would be realized (the only one that I didn’t really care for was Poseidon). For a flagship book, there is a surprising amount of graphic violence, including a horse’s head being severed with a centaur’s upper body erupting from the hole, and Diana’s arms drenched to the elbow in blood from combat. That said, it somehow manages to avoid seeming gratuitous and instead supports a sense of mythological seriousness. In fact, I would say that the art by Cliff Chiang is almost without misstep. The work by Tony Akins (issue 13, 14, and 17, at least) is not as successful for me, and Goran Sudzuka does the penciling for some of the newer issues that I haven’t gotten to yet, and so can’t speak to, but overall the art situation is pretty amazing. The story itself does not read like a superhero book, which to me is a positive. I have warmed slightly to the superhero genre, but in general I prefer other types of story. As I mentioned above, Gaiman’s Sandman is actually the first thing that I though of when reading through the recent Wonder Woman. This is the story of the interactions of cosmic personalities, many of which are not clearly heroes of villains (though Apollo serves as a main villain proxy to some extent). Like the Olympians of mythology, the dominant feature of most of these characters is a sort of myopic selfishness coupled with tremendous power. There’s also some situational humor that I appreciate (mostly involving Hera). I will leave you with a few image selections. All images are scaled screen captures from the digital Comixology compilations. 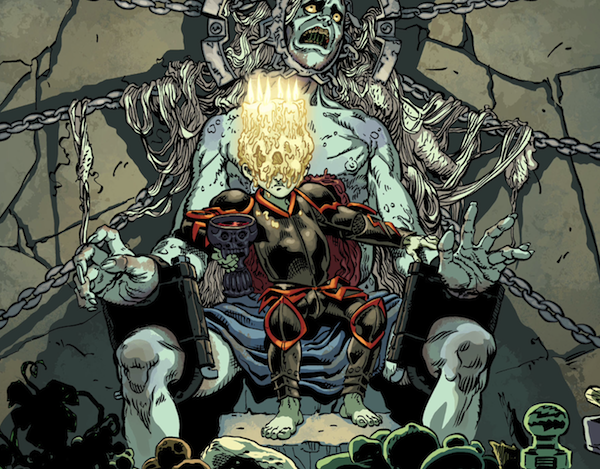 This entry was posted in Spotlight and tagged comic book on January 9, 2014 by Necropraxis. The time has come again. This year, the torch has been passed from Alex Schroeder, who ran the contest for the last few years, to Random Wizard. 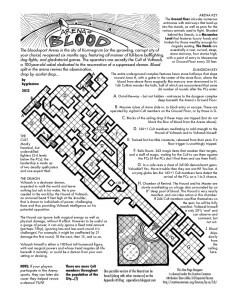 I think most people would agree that the results of the previous One Page Dungeon contests have been some of the most interesting content to come out of the DIY RPG community. Also, because of the terms of the contest, everything must be creative commons licensed, and thus free to use and remix, which ends up being a tremendous resource. Visit the new domain for visualizations (such as slideshows) of the previous entries and winners. There is a new domain with more info. The deadline this year is April 30, 2014. This is a 100% volunteer and community effort, so it will be as good as we make it. Dust off your graph paper and spread the word. 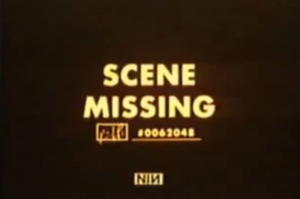 This entry was posted in Spotlight on January 6, 2014 by Necropraxis. 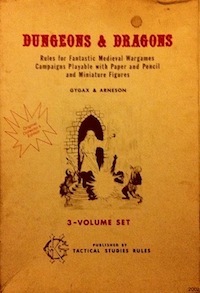 Recently, I’ve been playing in an online LotFP game (Dungeon Moon, run by LS of Papers & Pencils) that uses the 2013 Rules & Magic book “as written.” Thus, the firearms appendix is available. After my previous warlock (reskinned elf class) character died to a poison gas trap, I decided to make a gunslinger fighter to take these firearms rules for a spin. Playing a character with lots of guns and explosives where those things are still somewhat out of the ordinary is exactly as fun as I thought it would be (which is to say, a lot of fun). I have now used the rules for several sessions, and I can say with confidence that I like them. There’s enough variation from other types of weaponry that guns actually feel different, without necessarily being superior in all cases. Damage is good (being 1d8 for all types of firearm), and bullets cancel up to five points of target armor, but a gunner is at increased risk from fire-based attacks (due to the explosive compounds that must be carried), and there is a chance of misfires (potentially wasting a combat action and fouling the weapon). These factors, combined with higher prices, mean that every PC is not likely to upgrade their weapons to firearms at the first opportunity. So, I am happy with the rules, but their presentation is somewhat confusing. The relevant details are nested between paragraphs of historical background, and prices between the various options are hard to compare, as they use a multiplier per feature design. For example, having a wheellock firing mechanism causes a gun’s cost to increase sevenfold. Adding rifling further doubles that. 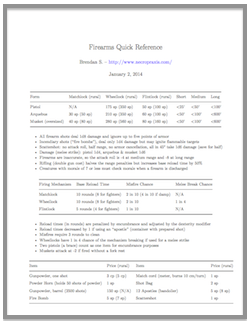 To make the firearms rules more user-friendly, I created a one-page firearms quick reference PDF that does most of the multiple calculations (the only dimension that is not included in the price matrix is rifling) and also includes all the important rules. It is available under the OGL, so everything beyond the first page is legalese (that is to say, for table use you probably only want to print out the first page). In the process of putting this PDF together, I also noticed that there are actually rules for blunderbusses hidden under the ammunition entry “scattershot.” Thus, the only real omission remaining is how to handle grenades. Following these rules, the most effective gun combatant is an unencumbered fighter with a high dexterity. A fighter with a flintlock (base reload time: 4 rounds) with an 18 dexterity (bonus of three, bringing the reload time to 1 round) using “apostles” (prepared shot that decreases reload time by 1) has an effective reload time of zero, meaning that they can fire every round (at least, that is how I would rule it). There is still a 10% chance of misfire for every shot though. Even my gunfighter (who has a dex bonus of 2) is considering investing in a light crossbow as backup, though that’s another two encumbrance slots. Another tactic that I plan on trying is loading a brace of pistols with scattershot, which would serve as a good combat opener (area effect damage over a 45 degree fan with no attack roll needed and a target save for half damage). How to handle firing off two such “breath weapon” attacks in a single round will need a referee ruling though, as it does not seem to be covered in the rules explicitly. 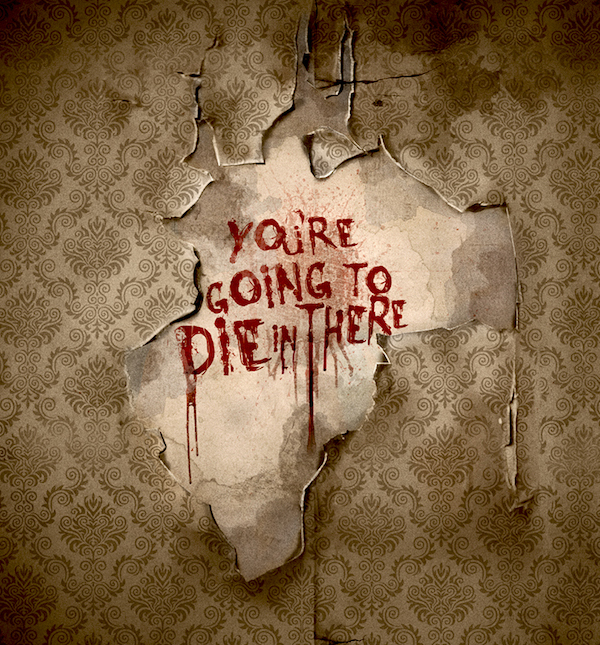 This entry was posted in Rules and tagged LotFP on January 2, 2014 by Necropraxis.